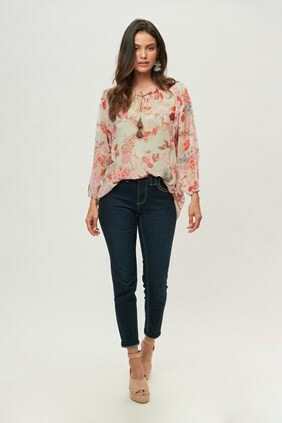 Soft Turkish denim pull on jean. 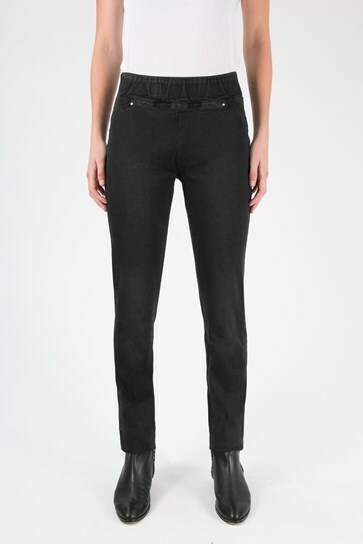 Elasticated waistband that sits flat on the waist. 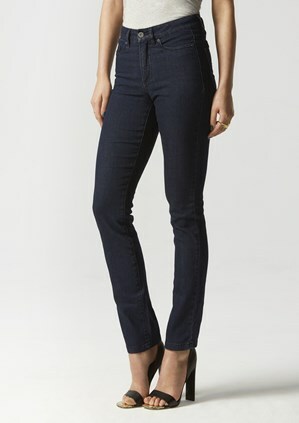 Super stretch denim for all day comfort. Full length slim legline. 71% Cotton 18% Polyester 9% Rayon 2% Spandex. Gentle Machine Wash Separately in Cold Water. Do Not Tumble Dry.